Emmy 3D is one font in a new family by Emily Lime Design. Soon to be released on myfonts.com - be the first to get the entire collection on www.emilylimedesign.etsy.com. 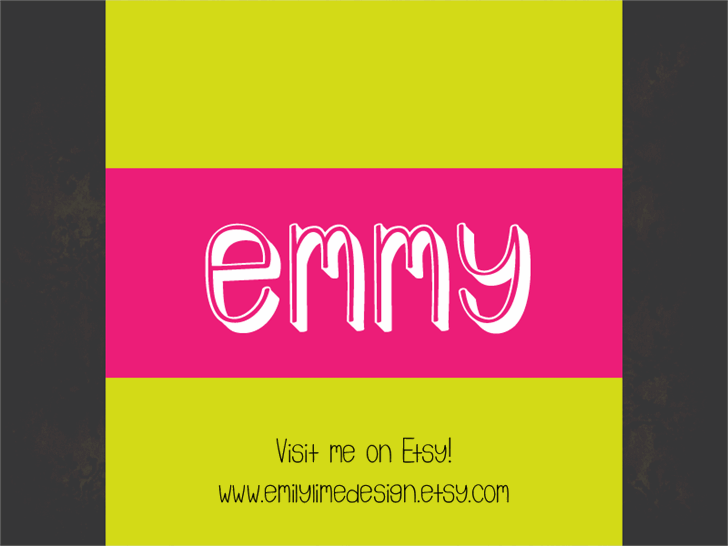 Emmy 3D is a trademark of Emily Lime Design.